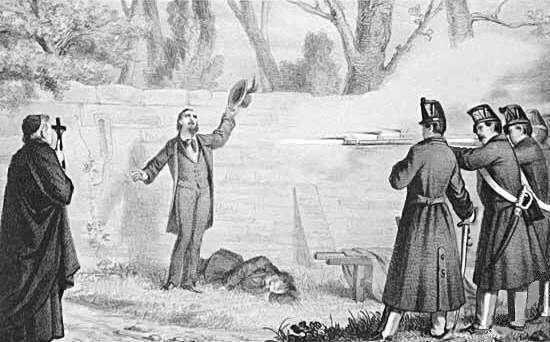 On this date in 1858, Italian revolutionary Felice Orsini calmly lost his head for the nation. 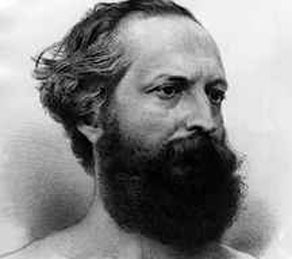 Something of a celebrity revolutionary, Orsini joined the independence movement of Giuseppe Mazzini and embarked on a generation’s worth of conspiracy, covert operations and prison spells and prison breaks which he himself voluptuously recounted in hot-selling autobiographical tomes. 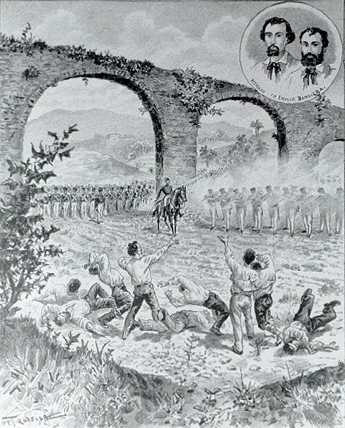 Orsini became convinced that French ruler Louis Napoleon* was the chief obstacle to Italian unification, and accordingly chucked a bomb at the dictator’s carriage on January 14, 1858. Ever theatrical, the condemned Orsini addressed a letter to Louis Napoleon while awaiting execution. In it, he urged the emperor to take up the Italian cause. Whether mindful of the prospect of another Orsini waiting for his carriage, remembering his own youthful plotting with the Italian carbonari, or simply for reasons of French statecraft, Napoleon did just that. 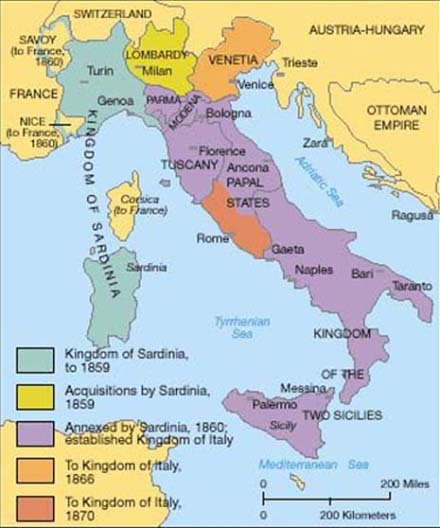 His alliance with the Piedmont state in northwest Italy (for which France received Savoy and the French Riviera in exchange) helped it absorb most of what now constitutes the Italian state. Within three years of Orsini’s death, only a reduced papal enclave around Rome and the Austrian holdings around Venice separated the peninsula from unification. In life, Orsini had been a prominent advocate of the Italian cause and played to packed houses in England. In death, he was felt further afield than that. 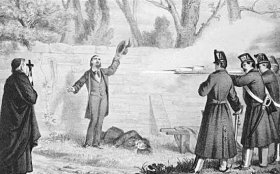 Among Lincoln’s officers in the coming Civil War would be Charles DeRudio, the anglicized name of Orsini co-conspirator Carlo di Rudio. Di Rudio had drawn a death sentence himself for the Orsini plot but was spared (pdf) by the clemency of his intended victim. He would go on to fight in the Battle of the Little Bighorn where he once again managed to cheat death. * aka Napoleon III. He was the grandson of Josephine’s guillotined first husband.